Genesco Inc. announced that the company is initiating a formal process to explore the sale of its Lids Sports Group business. The company’s board of directors concluded through a strategic review process that it is in the best interest of the company and its shareholders to focus on its industry-leading footwear businesses, which it believes is the optimal platform to deliver enhanced shareholder value over the long term. The board has established a special committee, consisting of four independent directors, to oversee the Lids Sports Group sale process and has retained PJ Solomon to advise the special committee and the board in this matter. There is no assurance that the process to explore the sale of the Lids Sports Group business will result in any transaction or the adoption of any other strategic alternative. Genesco does not intend to make any further disclosure concerning these matters unless or until a definitive transaction agreement is reached or until the board determines to conclude the process. Genesco Inc., a Nashville-based specialty retailer, sells footwear, headwear, sports apparel and accessories in more than 2,725 retail stores and leased departments throughout the U.S., Canada, the United Kingdom, the Republic of Ireland and Germany, principally under the names Journeys, Journeys Kidz, Shi by Journeys, Schuh, Schuh Kids, Little Burgundy, Lids, Locker Room by Lids, Lids Clubhouse, Johnston & Murphy, and on internet websites www.journeys.com, www.journeyskidz.com, www.journeys.ca, www.shibyjourneys.com, www.schuh.co.uk, www.littleburgundyshoes.com, www.johnstonmurphy.com, www.lids.com, www.lids.ca, www.lidslockerroom.com, www.lidsclubhouse.com, www.trask.com, and www.dockersshoes.com. 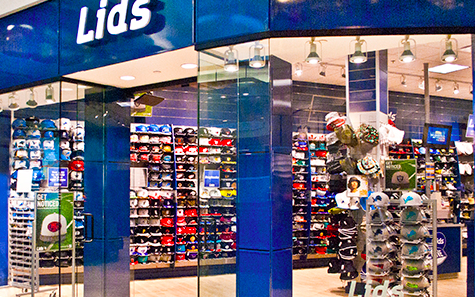 The company’s Lids Sports Group division operates the Lids headwear stores, the Locker Room by Lids and other team sports fan shops and single team clubhouse stores. In addition, Genesco sells wholesale footwear under its Johnston & Murphy brand, the Trask brand, the licensed Dockers brand and other brands. For more information on Genesco and its operating divisions, please visit www.genesco.com.